Wayne Rainey, 3-time Moto GP World Champ tells why he bought at the luxury destination for collectors and motorsports enthusiasts. 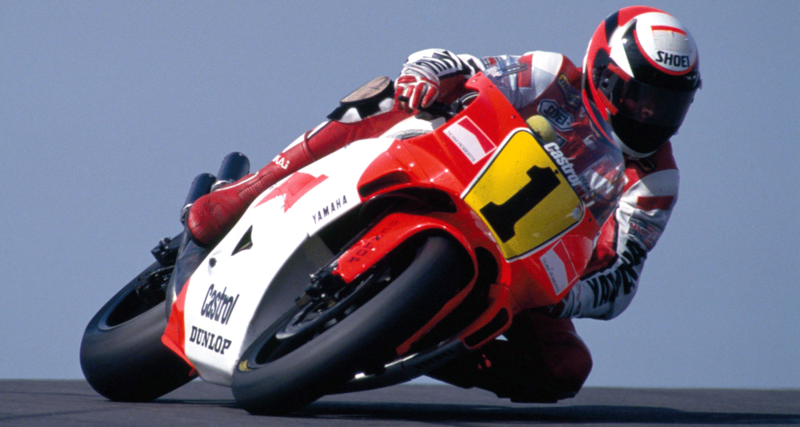 California native, Wayne Rainey, had an extraordinary career as a motorcycle racer, including seven years on the Moto Grand Prix circuit. He was crowned champion of the 500cc class in 1990, 1991 and 1992. Throughout his years on the circuit, Wayne had 24 wins and made the podium 65 times in just 95 starts. Wayne is just one of many who have discovered Monterey Motorsport Park, a high-end garage-condo facility and motorsports-oriented community located adjacent to Monterey Regional Airport. With spacious mezzanines accessible via interior stairs or optional lifts for mobility-impaired individuals, the community is ideal for people to store collections, large or small, of cars or motorcycles — and create a luxury retreat or personal office in the lofty space overlooking the garage or shop floor. Although you may have heard or read that construction just recently started, you can’t afford to be slow off the line. Concrete has been poured and steel is rising on the site. (See our live cam here.) More importantly, already approximately 50% of the units have been presold. So if you’re thinking about joining Wayne Rainey, Gordon McCall and the long list of interesting and like-minded collectors and motorsports enthusiasts, don’t wait! You can also get in touch with Gordon McCall, who’s part of the development team and will be relocating his business — McCall Events — to the community upon build-out, at mccall57@aol.com, (831) 372-9311. Or you can contact Ralph Borelli at ralph@ralphborelli.com, (408) 521-7117.